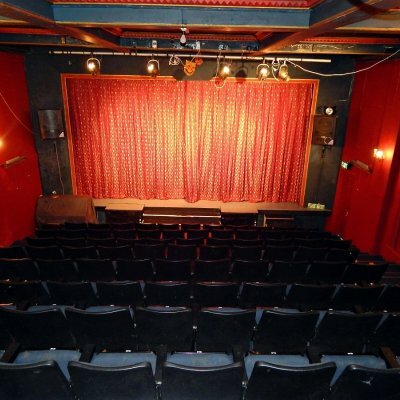 The Playhouse Theatre is a popular venue to hire for local and visiting productions and festival performances. Below are a few frequently asked questions about our theatre. Please contact us at playhousedunedin@gmail.com to enquire further or make a booking. What is the theatre capacity? Our auditorium has 136 seats. How much does theatre hire cost? Our standard hire fees are $50 per two hour rehearsal time, plus $250 per performance night. Fees may vary depending on hirer requirements – please contact us for a confirmed quote. 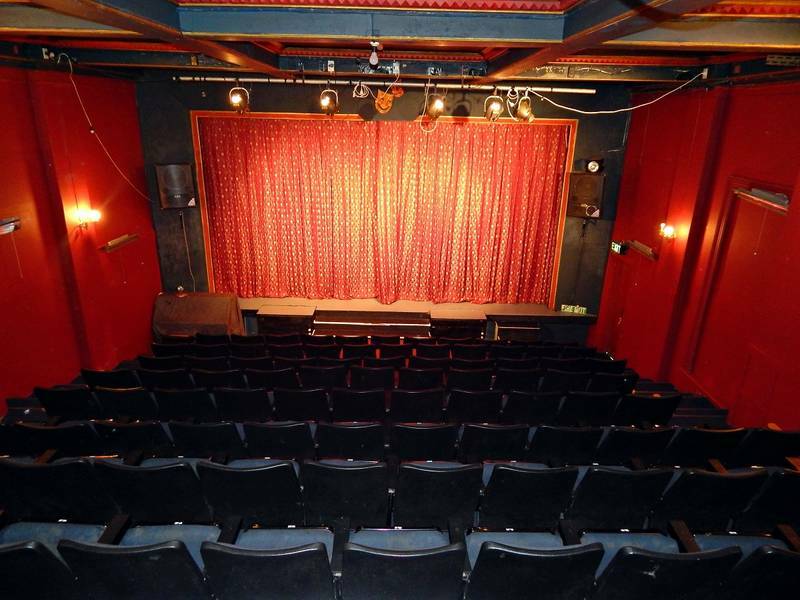 What are the theatre’s technical specs? 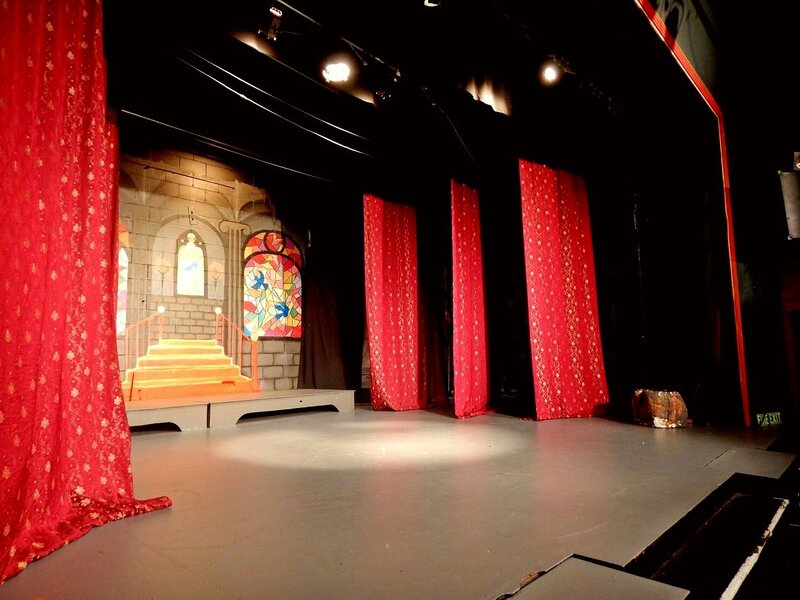 Stage dimensions: 9.3m (wall to wall) X 6.5m (proscenium arch to back wall). Wing space: Stage right ≈ 2m; Stage left ≈ 3m (subject to leg placement). 3 x Traveler bars - pulley-operated from prompt side wings, with various backdrop travelers available. House curtain - winch-operated from above stage. 4 x LX bars + 6 x PAR64's rigged permanently at rear of auditorium. Further lighting available by arrangement, including strobe light and mirror balls (subject to lamp availability). 2 x 12-input Theatrelight DMX dimmer packs (Input 24 permanently patched to house lights). Theatrelight Scenemaster 3F lighting desk - 24/48 channels, up to 96 scene presets; VGA output to monitor screen. 1 x STK V-16 Plus 4, 2400w 4-channel power amp (Powers FOH speakers + onstage monitors). 1 x STK V-8 1200w 2-channel power amp (Powers below-stage sub speaker). 1 x STK VC23 mono/stereo frequency crossover unit. 1 x STK VQ15 15-band stereo graphic EQ. Behringer Xenyx 1832FX mixing desk - 6 x mono balanced/unbalanced 1/4" or XLR inputs; 4 x stereo balanced/unbalanced 1/4" inputs; 2 x FX loops; 99 x 24 bit on-board effects. Acer Aspire E1-531 laptop - Windows 8.1; 64 Bit; 4.00GB RAM; 1.90Ghz CPU - equipped with MultiPlay audio/video/MIDI cueing software. 3 x Digitech VHF radio transceivers with earpieces. Backstage audio monitors in green room and all dressing rooms. Do we need our own tech crew? Our technicians will work with you to get the best possible result from our facilities, and we will coordinate any necessary rigging as per your lighting requirements. 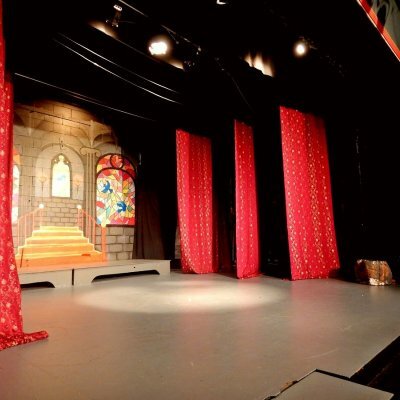 We will endeavor to supply a technician to tech your production if requested, however, as we are a community theatre, we cannot guarantee that a technician will always be available to tech an outside production. 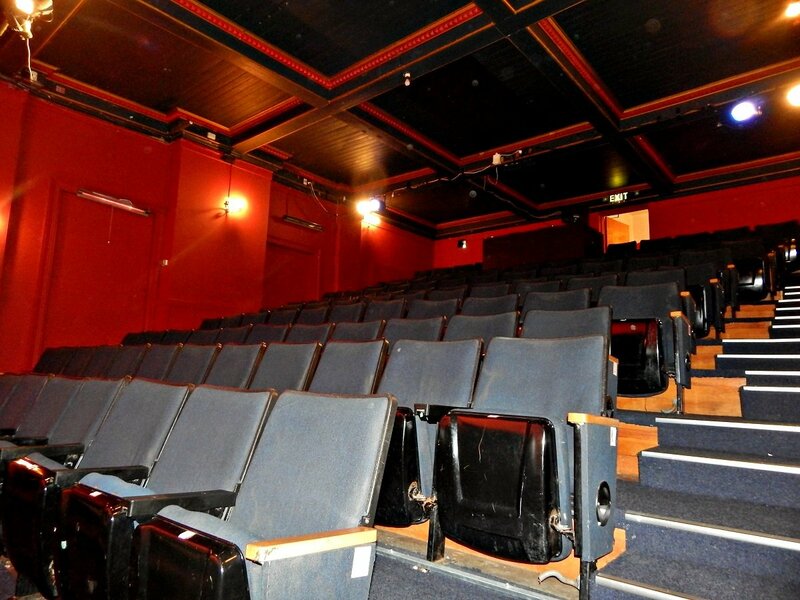 The upper level of the theatre has a kitchen and large function space suitable for serving refreshments at intervals and/or before or after performances. The theatre foyer has a box office and unisex toilets. 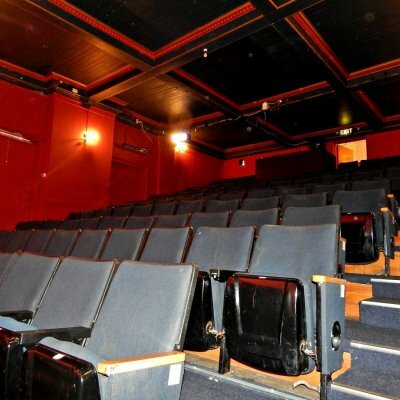 The auditorium has a wheelchair accessible entrance and accommodation, but unfortunately the foyer and box office do not. Can we apply for a liquor licence? Yes, we are happy for you to apply to the Dunedin City Council for a licence. Please discuss this with us at the time of booking so we can provide you with the documents you will need for your application. All liquor licences and associated costs are met by the hirer. Are there any health and safety requirements? Yes, you need to have a safety warden with a fire warden training certificate present at all performances. We may be able to assist you with this if required.